Arman Contracting LLC takes a holistic approach to design and build. 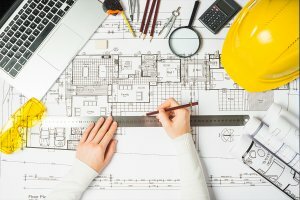 Everything is connected - a project is automatically compromised if the planning is not right, or the materials are not to specification or the skills of the contractor falls short. Our designers work with our customers not only in the practical side of planning, i.e. the overall scope and performance of the project - we also utilise the best possible materials and use the best contractors to offer a comprehensive building and construction solution which is robust, efficient and cost effective. We can act solely as a design source if required where we act as a specialist consultant to undertake a feasibility study from which we put together a detailed proposal with implementation plan. The choice as to whether you use Arman is of course down to you - however, we find with the majority of our clients that once you have seen the quality and efficiency of our proposal, we naturally extend as your contractor of choice, and inevitable are awarded the contract to carry out the works to the project plan we have recommended. Essentially we are a \'one stop shop\' for your building and construction needs. By partnering with Arman, you are choosing a provider who will meet the demands of your business and surpass expectations.